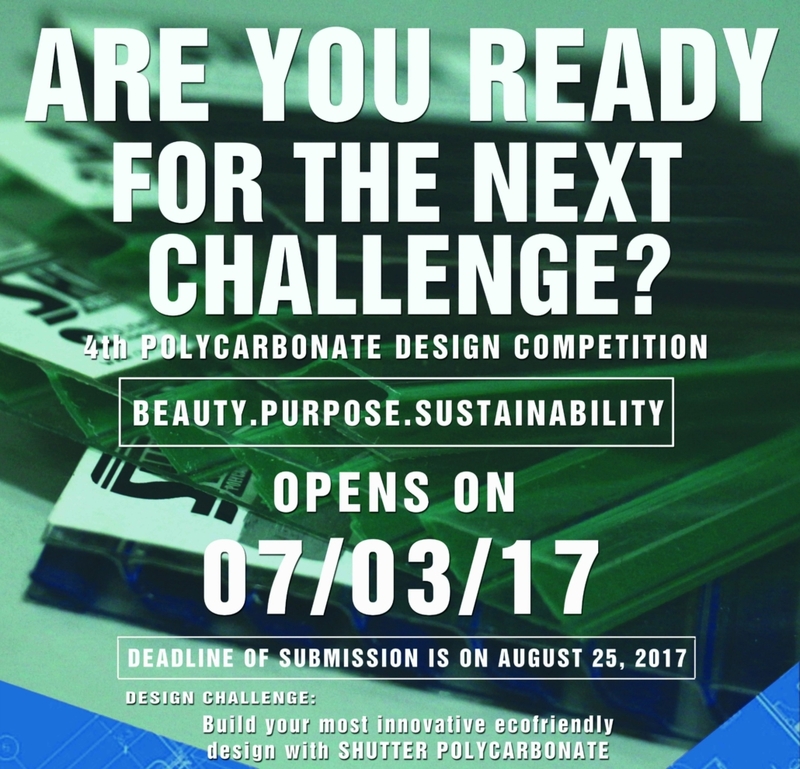 Get your designs ready for this year’s 4th Polycarbonate Sheet Design Competition – Shutter Twinwall Sheet Edition. Design Challenge: Build your most innovative ecofriendly design with SHUTTER TWINWALL POLYCARBONATE. The competition aims to generate insights and spark ideas and proposals that will help us envision the designs of the future while promoting scholastic excellence and competence, through healthy and fair competition among students and teachers from other schools nationwide and provide a venue for interaction. For MORE DETAILS about the Competition, check full mechanics at http://bit.ly/PCSheetDesignCompetition. For MORE DETAILS about Shutter Twinwall Polycarbonate Sheets, check here http://sunshield.com.ph/products/shutter/. Design the Future! For inquiries, please send us an email at contest@olympus.com.ph and like our Facebook page.